A cigar is not just a cigar. It is a carefully arranged blend of fine tobaccos for the purpose of smoking enjoyment. As obvious as this sounds, it is too often forgotten. Nub is proof that this age old art still has much to offer. Within it, there are still many secrets to be discovered. we offer here, for your benefit, one such example. 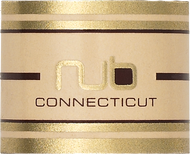 Nub cigars are the result of the search for the "sweet spot" of a cigar. They shortened the over length of the cigar, while significantly expanding its ring gauge. These fine cigars have an immediate and sustained "sweet spot". They also deliver a more flavorful and complex smoking experience.